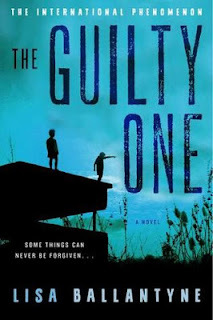 Synopsis: An eight-year old boy is found dead in a playground...and his eleven-year old neighbor is accused of the crime. Leading the defense is London solicitor Daniel Hunter, a champion of lost causes. A damaged boy from a troubled home, Daniel's young client, Sebastian, reminds Daniel of his own turbulent childhood - and of Minnie, the devoted woman whose love saved him. But one terrible act of betrayal irrevocably shattered their bond. As past and present collide, Daniel is faced with disturbing questions. Will his sympathy for Sebastian and his own memories blind him to the truth? What happened in the park - and who, ultimately, is to blame for a little boy's death? Rethinking everything he's ever believed, Daniel begins to understand what it means to be wrong...and to be the guilty one. Review: I wanted this book to make an impression on me. It had the potential to but since I started this review back in May and then forgot about it until I just stumbled upon it today, I have to say that this one just faded away. It had potential. The story flip flopped back and forth between when Daniel was a child to modern day when Daniel is defending a boy who reminds him of his past. I liked the premise, I even liked the beginning but somewhere along the line it fell flat. The story seemed predictable and ultimately it is more about Daniel than it is about Sebastian. Did Minnie betray Daniel out of misguided love? The lack of details left me not really caring that much. Since this is Lisa Ballantynes first novel I hope that her next ones give us a little more to sink our teeth into. Characters that aren't memorable don't last, and neither do the writers who write them.